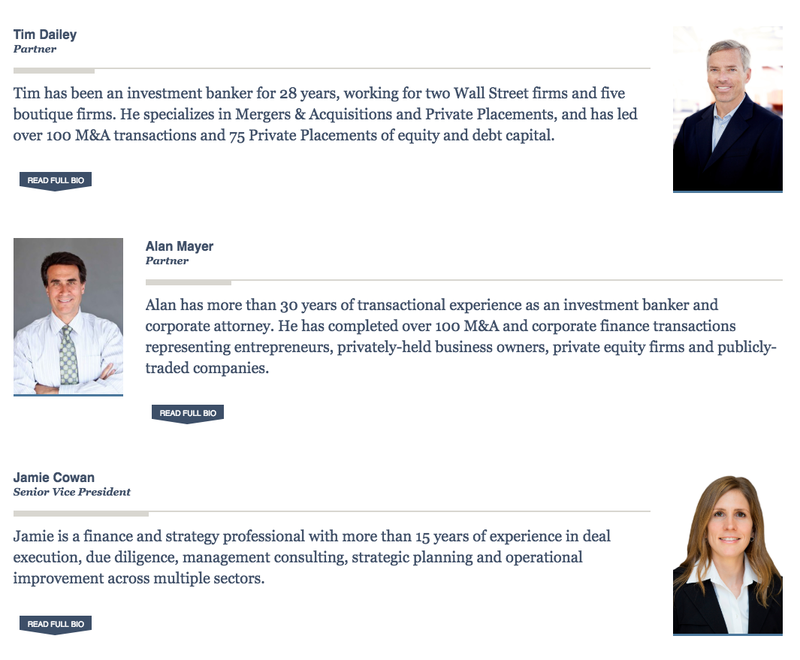 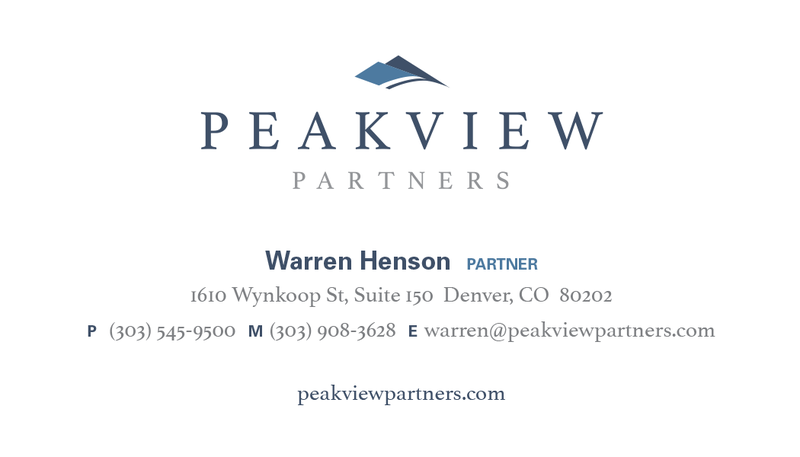 Peakview Partners is a boutique investment banking firm based in Denver. 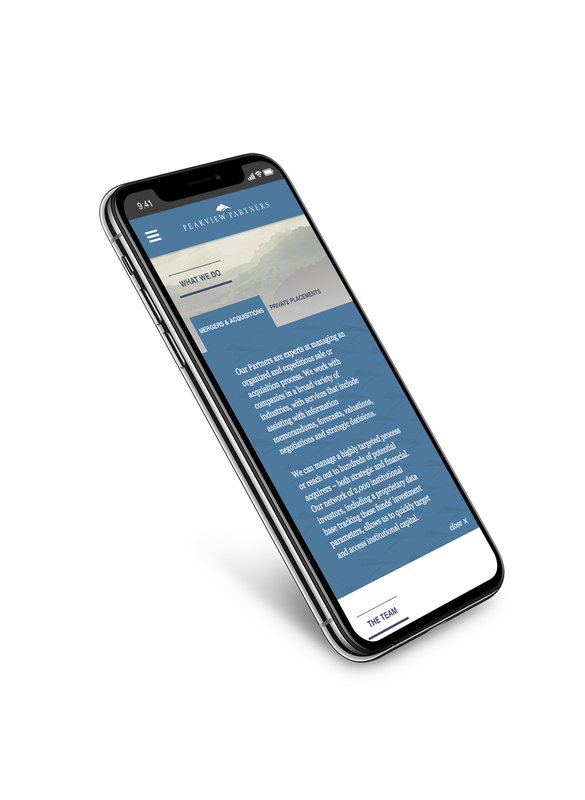 The new identity represents the high-touch service provided through subtle details, and the financial sector through the sophisticated color palette. 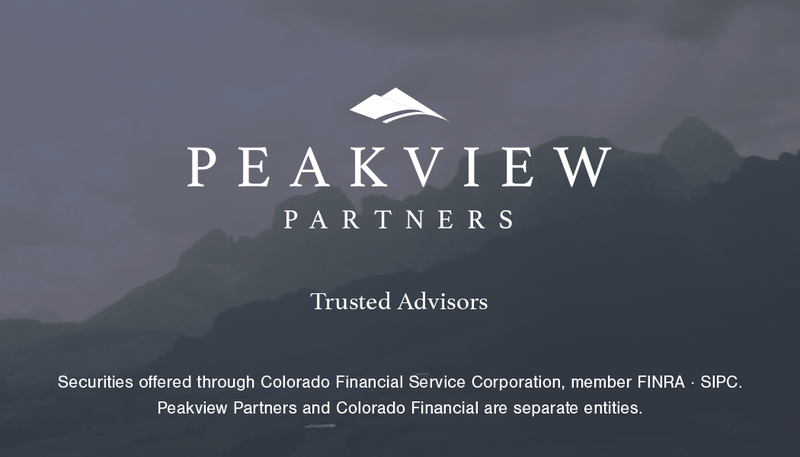 Peakview’s website is a long scrolling index page that works just as well on mobile as it does on desktop, in order to reach the broad range of clients the firm serves. 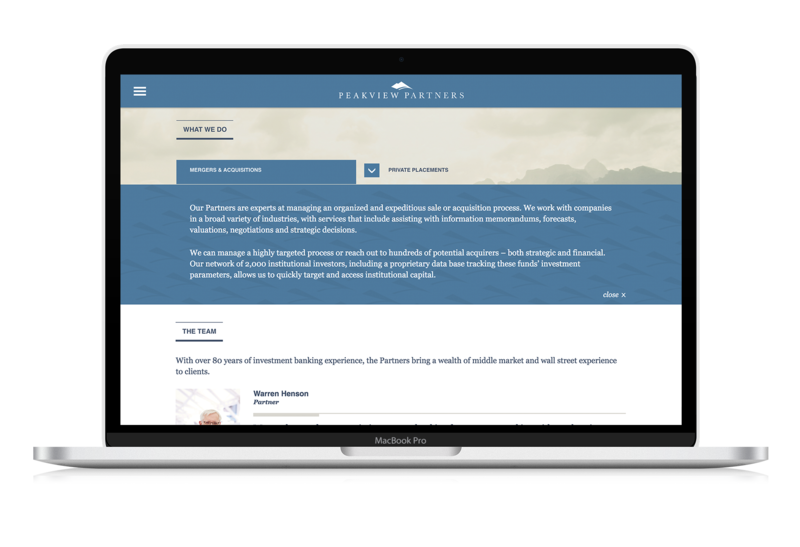 Much like the identity system, the site features smooth transitions and subtle, refined graphic elements.